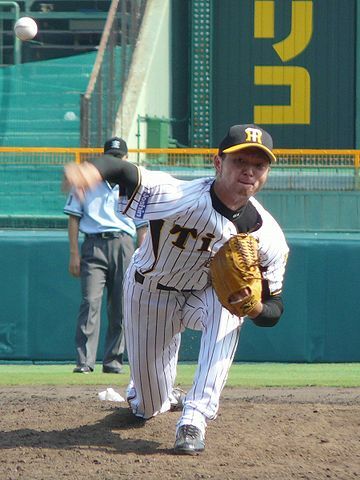 I was released in 2010 after playing 5 years of professional baseball in Japan as an overhand pitcher. I still wanted to play, and decided to make a move to start fresh in the US. I struggled with shoulder pain from the season before, and my velocity had dropped to the point where I knew I had to do something to be able to play at a professional level. I was advised from my ex-teammate to try throwing from a side arm angle. I still remember the first time I played catch; I knew it was the right choice. I had much better location and was very consistent with my release point of each throw. I think one of the biggest advantages of being a side arm pitcher is that it instantly gives you deception. It also gives you an angle against hitters on the same side (right-handed pitcher vs. right-handed hitters) that over-handed pitchers don’t have. This may be a personal opinion, but I felt that I got a lot more movement and it was easier to get a late horizontal break on my fastball. I definitely would not have been able to play for so long (8 years) at a professional level if I kept throwing over-hand. After I moved to the US to play, I knew that my body frame and velocity would not get me far, and I think it gave me an advantage being side arm. It’s really hard to say if it would have been better for me to make the transition early on, but most of what I know about pitching mechanics is from my over-hand days. I think the most important thing is if it feels natural to you or not. Like anything, there should be more advantages then disadvantages if you are considering the change. It's a matter of body angle more then arm angle when it comes to mechanics. There are some exceptions, but most of the basics of the throwing process should be the same, from over-hand thrower to submariner. I threw a slider, sinker and occasional split. I sat between 86-88 and topped out at 91. It was easier for me to throw against righties, since I stepped across my body and had an angle. I would throw a four-seam, sinker and slider to the outside, and sinker to the inside for righties. For lefties, it was hard for me to throw a slider to the inside and I learned that it was much more effective to throw a split between the middle to outside corner of the plate as an out pitch. My favorite part of throwing side arm was that I got to experience throwing in tense situations as a right-handed specialist. I was always a starter or long reliever and converting side arm gave me a chance to throw in many more games through out the season.